Previous studies report conflicting results of a dose-dependent association between alcohol consumption and incidence of chronic kidney disease. Only a few studies have assessed the clinical impact of > 45–65 g/day of critically high alcohol consumption. 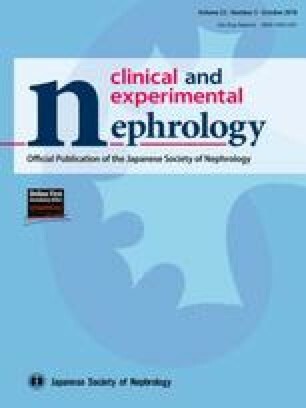 This retrospective cohort study included 88,647 males and 88,925 females with dipstick urinary protein ≤ ± and estimated glomerular filtration rate ≥ 60 mL/min/1.73 m2 at their first annual health examinations between April 2008 and March 2010 in Japan. The exposure was the self-reported alcohol consumption. The outcome was proteinuria defined as dipstick urinary protein ≥ 1 + or ≥ 2 +. During median 1.8 years (interquartile range 1.0–2.1) of the observational period, 5416 (6.1%) males and 3262 (3.7%) females developed proteinuria defined as dipstick urinary protein ≥ 1 +. In males, a U-shape association between alcohol consumption and proteinuria was observed in a multivariable-adjusted Poisson regression model [incidence rate ratio (95% confidence interval) of rare, occasional, and daily drinkers with ≤ 19, 20–39, 40–59, and ≥ 60 g/day: 1.00 (reference), 0.86 (0.79–0.94), 0.70 (0.64–0.78), 0.82 (0.75–0.90), 1.00 (0.90–1.11), and 1.00 (0.85–1.17), respectively], whereas a J-shape association was observed in females [1.00 (reference), 0.81 (0.75–0.87), 0.74 (0.64–0.85), 0.93 (0.78–1.11), 1.09 (0.83–1.44), and 1.45 (1.02–2.08), respectively]. Similar associations with dipstick urinary protein ≥ 2 + were shown in males and females. Moderate alcohol consumption was associated with lower risk of proteinuria in both males and females. Females with ≥ 60 g/day of high alcohol consumption were at higher risk of proteinuria, whereas males were not. Females were more vulnerable to high alcohol consumption, than males. The online version of this article ( https://doi.org/10.1007/s10157-018-1568-0) contains supplementary material, which is available to authorized users. 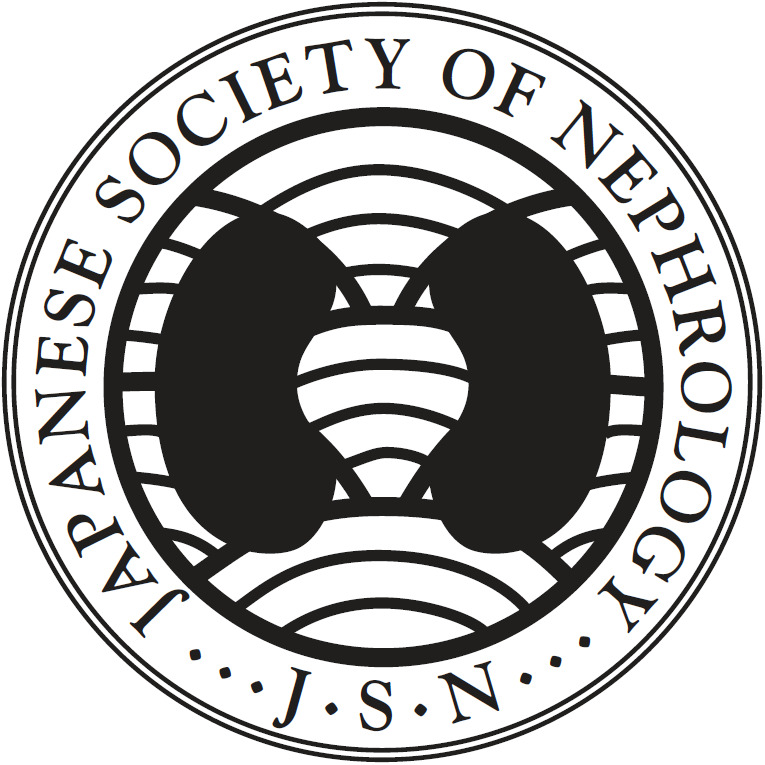 The present study was supported by Health and Labor Sciences Research grants for ‘‘Research on the positioning of CKD in Specific Health Check and Guidance in Japan’’ (20230601), the Ministry of Health, Labor and Welfare of Japan. All procedures performed in studies involving human participants were in accordance with the ethical standards of the institutional research committee at which the studies were conducted (IRB approval number 1485 and 13085-3 at Fukushima Medical University and Osaka University Hospital, respectively) and with the 1964 Helsinki declaration and its later amendments or comparable ethical standards. Informed consent was not obtained from participants, because all data were anonymized, according to Japanese Ethical Guidelines for Medical and Health Research Involving Human Subjects. National Federation of Industrial Health Organizaion. Annual report of quality control of clinical laboratory tests in 2009.2018. http://www.zeneiren.or.jp/cgi-bin/pdfdata/20110316103417.pdf. Accessed 3 March 2018 (in Japanese).